This is a sponsored post as a part of my Cool Food Panel participation with the National Frozen and Refrigerated Foods Association (NFRA), all opinions are my own. The holidays are on the way and delish recipes like this one are really going to come in handy. Not only will they make you look good at holiday parties, but they’re so easy to whip up thanks to scrumptious shortcuts! 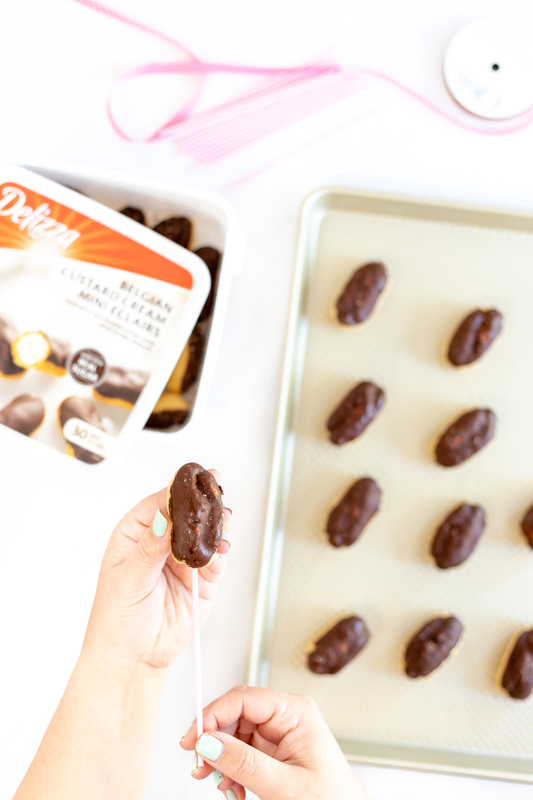 Have you ever tried Delizza Frozen Desserts? These reindeer pops made with their Belgian Custard Cream Mini Eclairs are so delicious that they’re sure to be an instant crowd-pleaser this season! I’ve long been a fan of Delizza’s mini eclairs but it’s been ages since I remembered to add them to my shopping list. So glad that they’re back on my radar in time for busy season! I love that keeping stocked up on these goodies allows me to enjoy a tasty treat, anytime. You can use the whole container or take out just what you need and put the rest back in the freezer. They thaw out very quickly and can be eaten as-is with no prep or fuss! That makes them a must-have staple for easy holiday entertaining! 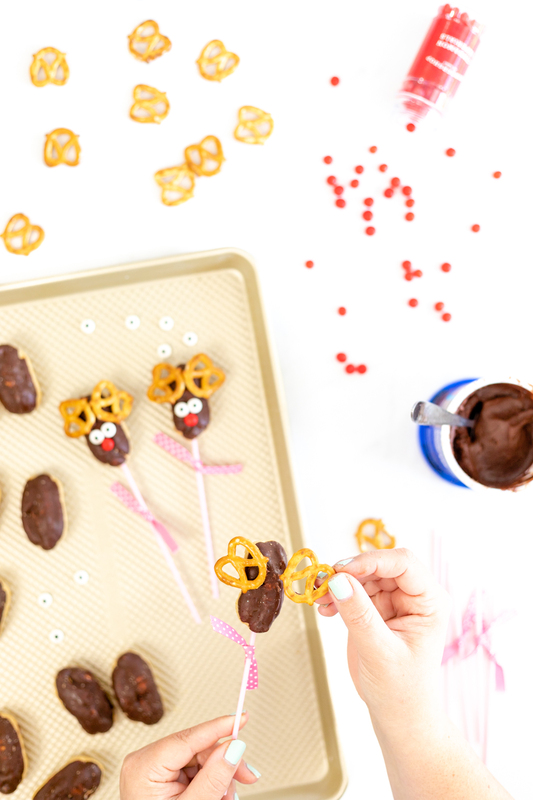 Making these little holiday treats is about as easy as 1, 2, 3! Even the busiest of elves will be able to put this together! They are perfect for holiday parties or just for you and the kiddos! They may even like helping to make them for a fun activity you can do together. 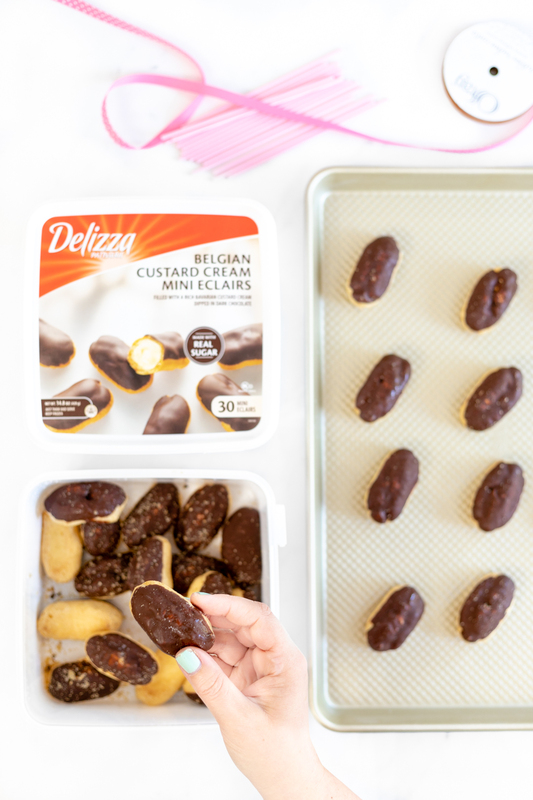 Not only is this recipe simple, but it’s made delicious with the help of Delizza’s Belgian Custard Cream Mini Eclairs! Here is what you need to make them below and then I will walk you through the simple steps to make them! Gather all of your ingredients and get ready to play with your food! 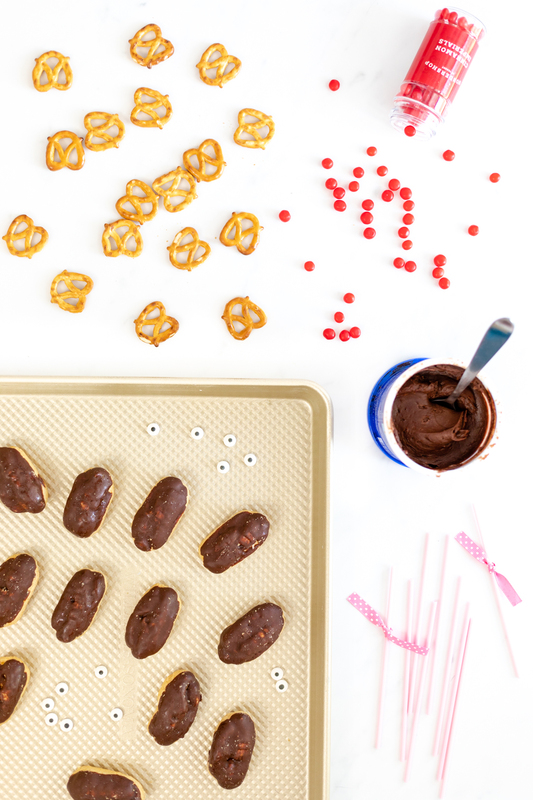 You’ll want to defrost the mini eclairs before getting started. Check the package directions for instructions. 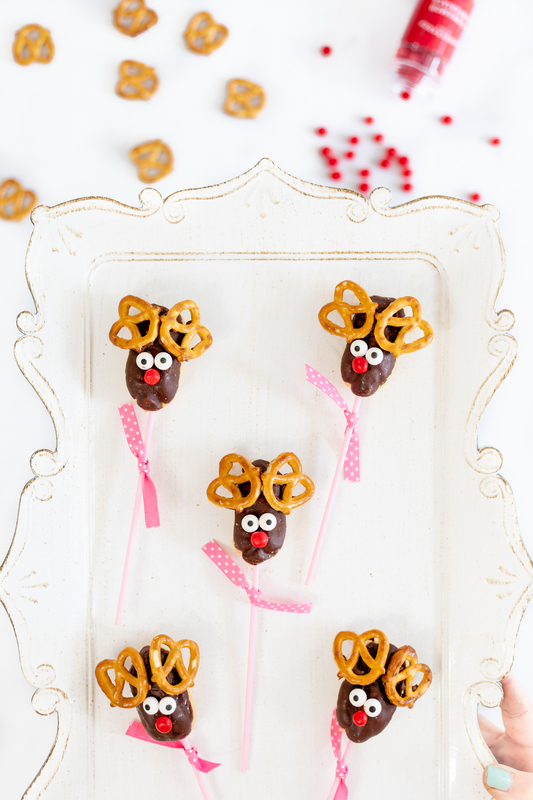 Use dabs of chocolate frosting to adhere all of the pieces to create each reindeer face. 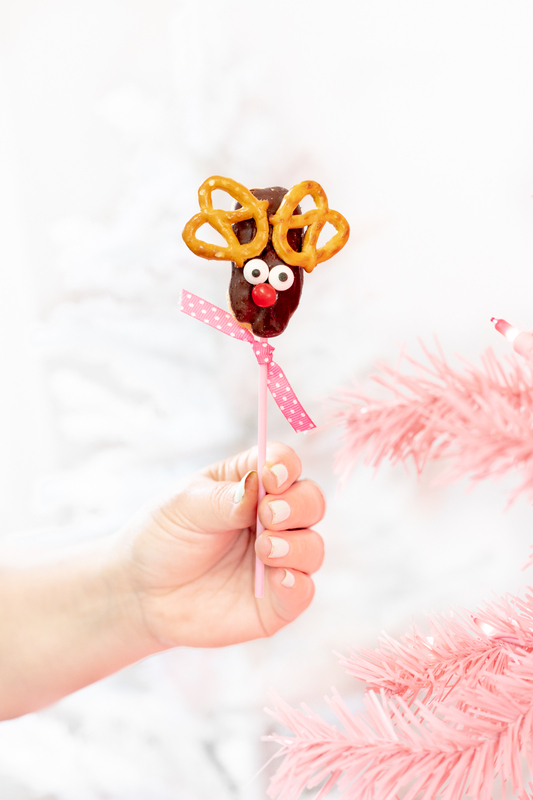 Start off with the pretzels as antlers. Place two on each “reindeer” to get started. Then, finish up by adding the eyes and nose and inserting the stick in the bottom. Let them set for about 30 minutes and serve. If you aren’t serving right away, you can store them in the refrigerator for a short while. They are best eaten the day that the mini eclairs are thawed. Then, enjoy every single bite! Visit Easy Home Meals for even more great holiday recipes and check out Delizza’s website to find more frozen dessert products to stock your fridge and freezer with for the holiday season!